A truly fantastic design that is minimalistic and elegant. Premium build quality and careful attention to detail. A phenomenal listening experience, even in the bass response. May benefit from a cartridge upgrade; not a big deal. Rega was founded in 1973. A few short years thereafter, they released the Planar 2 and have been innovating on this design ever since. It’s gone through many name changes, but today it returns, once more, the Planar 2. Despite the more than 30 year journey which the Planar 2 has been on to arrive at the point it is at today, and despite the numerous name changes (from RB250 to P2 2000), you would be hard pushed to notice too many visual differences between the Planar 2 of old and the Planar 2 of 2017 if you were to be engaged in some bizarrely niche game of Spot the Difference. The watchword for this design is, most assuredly, ‘understatement’. It’s a very minimalistic approach that is as cool as it is effective and has a premium build quality to match. A shiny plinth and a felt covered glass platter make up the majority of the device, with the tonearm completing this three part picture. It’s truly very difficult not to like what Rega have put out to offer with the Planar 2. There just isn’t much there to object to. Very few design elements are in place, and those which are have been carefully thought about, designed, and engineered to perfection. It’s a truly gorgeous product. A 24v low noise motor has been included to, you know, cut down on the amount of additional noise which you encounter during playback. Rega has gone back to the drawing board with the feet which are affixed to the bottom of the plinth to make them as acoustically inert as possible such that they draw out all vibrations without allowing them to interfere with the sound reproduction process whatsoever. The Planar 2 is also kitted out with Rega’s brand new RB220 tonearm which comes with what they describe as ‘ultra low friction’ ball bearings and which is able to automatically adjust its own bias which means that the experience is almost entirely ready to go straIght out of the box. There is no in built phono stage, and so you will need to hook up the Planar 2 to a stereo amplifier which includes one or can, of course, purchase one separately. This, of course is fairly standard fare when it comes to turntables at this price range. The vast majority are designed to be plugged into pre-existing audio setups rather than to operate as standalone devices, as the technical limitations on internal speakers in an already fairly complex piece of kit render their native performance subpar when compared to what else is on offer in comparable fields. Rega have something of a reputation for a particular sound with all of their products, and this signature can be very much heard stamped all over the Planar 2. It is an authoritative, nuanced, and naturally delivered sound which lends itself perfectly to enjoying all manner of tracks from across a wide and varied range of musical genres. It’s a real delight. Unlike many turntables at this price range, Rega have managed to deliver a very solid bass response from this turntable which has a good deal of presence and weight whilst maintaining just enough bounce to create a performance which, overall, retains a sense of agility and clarity. One thing which stood out in particular was just how little noise there was present throughout the audio performance. 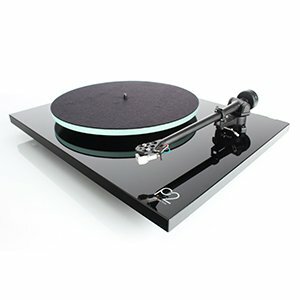 Rega have a reputation for excellence, and the Planar 2 only serves to continue improving it. A gorgeous, minimalistic aesthetic which is married with an audio performance that is hard to rival at this or any other price range.